Kansas City, MO – Sept. 14 2016 – DivvyHQ, the KC-based, content planning software and collaboration platform, received the Audience Choice Award for the top content creation, workflow and experience platform from the Content Marketing Institute (CMI). Fans and customers of DivvyHQ supported and voted in the first-ever audience choice contest ahead of CMI’s Content Marketing World convention held on Sept. 6-9 in Cleveland, Ohio. CMI is the global leader in education and training relating to content marketing and management. Joe Pulizzi, Founder of the Content Marketing Institute and author of Content Inc. said the award is well-deserved. “DivvyHQ has been helping to push the content marketing industry forward for years. I was very excited to see them get the recognition they deserve in winning this award,” Pulizzi said. Robert Rose, CMI Chief Strategy Advisor, added that the award was not unexpected because DivvyHQ has earned the appreciation and respect of industry leaders and content marketing platform users alike. 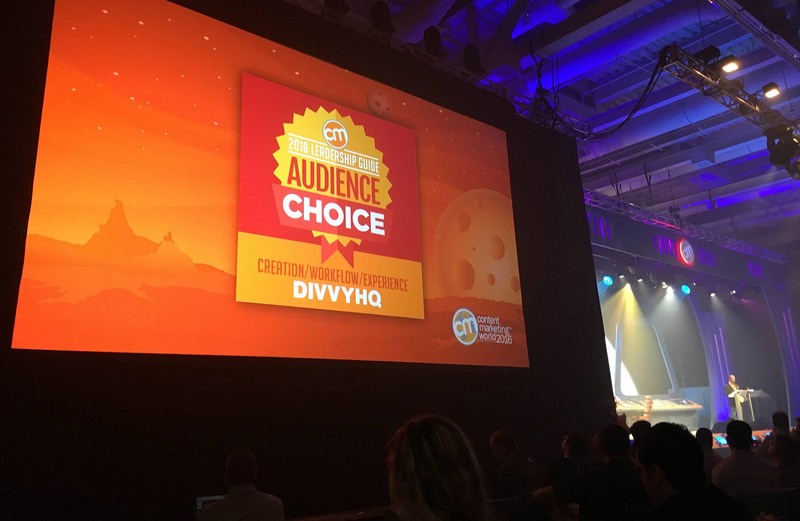 DivvyHQ Co-Founder, Brody Dorland, said the Audience Choice award brings DivvyHQ one step closer to its goal of being the leading content marketing solution in the world. “We are on a mission to make lives simpler for marketers around the globe, and it is gratifying to receive validation from our most important audience – our customers,” Dorland said. DivvyHQ is a Kansas City-based content collaboration platform that makes it easy for global marketing and content teams to get organized, plan, produce and publish high-quality content more efficiently. DivvyHQ has clients in more than 20 countries and works with big brands such as Marketo, Ben & Jerry’s, General Mills, National Geographic Channel, AARP, Samsung, and Roche. For more information, contact DivvyHQ at contact@divvyhq.com. Content Marketing Institute is the leading global content marketing education and training organization, teaching enterprise brands how to attract and retain customers through compelling, multi-channel storytelling. CMI’s Content Marketing World event, the largest content marketing-focused event, is held every September in Cleveland, Ohio, USA, and the Intelligent Content Conference event is held every spring. CMI publishes the bi-monthly magazine Chief Content Officer, and provides strategic consulting and content marketing research for some of the best-known brands in the world. CMI, a UBM company, is a 2012, 2013, 2014 and 2015 Inc. 500 company.